Increased energy levels, exercise performance, lean muscle mass, hair growth and stronger bones are just a few of the many benefits of human growth hormone (HGH). Whenever a new person steps into a gym you will notice one pretty clear trend - they all have protein shakers with them. To a certain extent many of us know that a protein shake can be a very effective tool when used properly - but when it comes to complete strength and size, protein just doesn't cut it. Now, this might have you thinking - “well, how do the pros get so big”? Many of the big guys you see in the gym are simply walking around with a big water jug - right? This is because many of them understand the importance of protein, but do not see the value in using a protein shake over and over again when there are much more effective ways to boost strength and size. You’d find that if you went and talked to some of the bigger guys in the gym that they might not want to tell you what they are taking - as if it is some kind of secret, but let me fill you in - a lot of them are taking growth hormone or even testosterone supplements (something we’ve talked about in recent posts). Growth hormone is a very - very effective tool for maximizing the amount of size and strength you can pack on in a certain amount of time. When it comes to ensuring you are always growing stronger - growth hormone can help. Let's break down the basics of growth hormone to help you understand if this powerful supplement is right for you. How Do Growth Hormone Supplements Work? When Should You Start Using an HGH Supplement? Which HGH Supplement Should You Choose? Want the Best of All Worlds? We should start this by saying that growth hormone is a completely natural agent that your body has already produced in large amounts. Depending on your age and body composition it could still be producing growth hormone. This is because growth hormone is responsible for, you guessed it - growth! 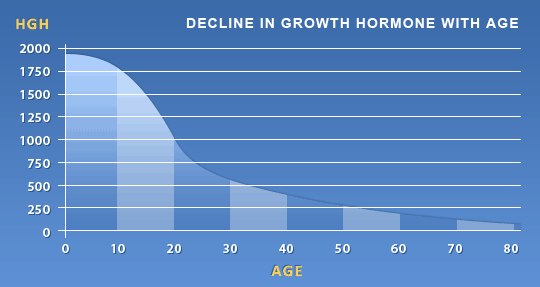 Growth hormone is a hormone that is in both men and women from an early age. This is the stuff that really helps all your tissue, bones, ligaments and internal organs grow as you age. Too little and you will fall behind your age class in height - too much and you start to feel like a giant. Can you remember back to a time when you had your “growth spurt”? On a very basic level, this growth spurt was a time when all your hormones, including growth hormone and testosterone, are starting to really peak. These peak levels lead to an excessive growth spurt that for some people can have them growing inches taller overnight - pretty crazy right? If you’re still following this train of thought you might have queued in that since growth hormone is responsible for total body growth that it could be an effective tool for strength and size when it comes to bodybuilding - and you’d be right. The next step in your evolution in the gym is to understand how supplements like HGH can be effective for bodybuilding, strength training and powerlifting. We know that HGH is responsible for growth in the body - especially as an adolescent, but what about those guys who are already in their mid-twenties? Is it possible for a supplement like growth hormone to continue spurring growth in muscle tissue? Yes, it is %100 possible. You see, dietary supplementation of HGH is actually one of the most effective ways to provide yourself with HGH. When supplements are ingested that contain either direct HGH or HGH alternatives, your body will immediately look to systems that are stressed and look to grow them. If you are bodybuilding and stressing the muscles, the active ingredients in HGH supplements will look to grow the muscle density and connections to push growth and size. This makes HGH supplements one of the most effective ways to ensure you are growing stronger and pushing yourself beyond what you believe was possible in the gym. When we look at HGH supplements on a very physiological level we can break down the process of how they work very easily. We know that human growth hormone is a hormone that is secreted by the pituitary gland, but when an excess if found present in the body (through supplementation) the body will naturally start to stimulate the liver and other tissue to secrete another hormone called IGF-1. 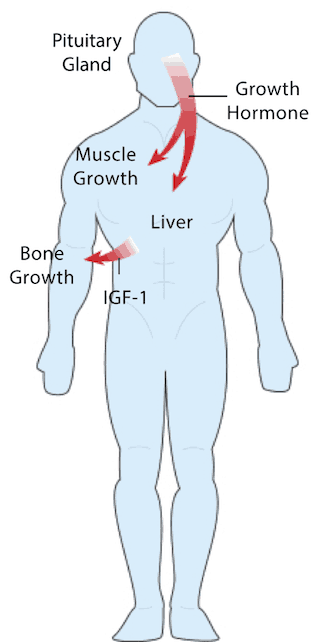 IGF-1: insulin-like growth factor 1. IGF-1 is the pride and glory of any bodybuilder. Your body will naturally create a small amount of IGF-1 to help your body grow and function on a daily basis, but when supplemented HGH promotes an excess of IGF-1 your body will start to pass over this growth to muscle tissue. The obvious benefit of having a large supply of IGF-1 is that you will see growth in the muscle cells much faster than if your body was only creating the minimal amount. There are a series of products available online that can be used to promote strength and size, but when it comes to HGH there are some very important ideas you need to keep in mind and things you should always have checked off. This is the bread and butter of HGH supplements. If the HGH supplement you are taking does not contain active ingredients that are built to engage more stimulation in the pituitary gland you might have a dud right from the start. This is as simple as looking for amino acids or other important dietary sources that can promote stimulation of the pituitary gland. My personal favourite for stimulating the pituitary gland is to combine L-arginine with L-Lysine as these have been shown to help improve HGH naturally. Other amino acids like Glutamine have been shown to drastically improve strength and size while showing minor improvements in the stimulation of the pituitary glands. There are many products that will contain powerful ingredients that help to stimulate HGH but without a good night's sleep, you will not see the true growth you are looking for. This is why the best human growth hormone supplements will be taken prior to sleep and promote greater deep sleep. The best supplements for increasing your sleep and promoting better deep sleep cycles is Gamma-aminobutyric acid (GABA) and L-Theanine. Both GABA and L-Theanine have the unique properties of helping you to sleep longer and will enable your prime ingredients that stimulate the pituitary glands to work more effectively during rest. Good HGH supplements will also contain a good supply of chromium. It seems that chromium may have an effect on some when it comes to assisting the IGF pathway, while on other people it might not improve their results. Since it is not completely conclusive and there are not any known side effects of chromium it is better to have a minimal amount in your diet or supplement to promote greater IGF-1 pathways to occur. This berry has been used forever to help with many heart conditions and promote a healthy lifestyle. Although this may not be an ingredient that will help to stimulate HGH it is a crucial ingredient in your supplement as it will help to keep your heart health in check, clear out arteries and enable for the best possible blood flow. Remember; good blood flow = optimal strength and body composition. Without good blood flow, it really doesn't matter how many supplements you take - they just won't reach their true potential. Hawthorn berry can help to accelerate the strength and the impacts of HGH-driven supplements by providing optimal heart health and blood flow. The list for what ingredients are best in an HGH supplement can go on and on - but the important take home is that when you look for a great product it only needs to fit a couple of important properties. If your HGH supplement has these three on lockdown and you can look at the ingredients with confidence then you have found the right supplement for you. Before you go jump on the first product the sales associate at your local supplement store recommends let's help you to determine the best ways to use an HGH supplement. Many people will look to overload weeks, or really difficult training weeks to take an HGH supplement. To a certain extent this could work, but using an HGH supplement on cycles during moderate-long periods of rest will be much more effective. Using an HGH supplement during rest will help because it will allow for the most profound strength returns and can even help you to rest and regain strength faster. At the end of the day, you must remember you gain strength while you are resting. We touched on this a little earlier, but it is important to reinforce the idea. Using an HGH supplement prior to sleep will help to ensure that you gain the most amount of strength returns from the specific product. Using an HGH supplement prior to sleep will also help to ensure that many of the active ingredients like GABA or L-Theanine are working to promote sleep and relaxation rather than just taking it during the day. When it comes to overdosing or having a dangerous side effect there are very few. You must remember - HGH is a supplement that, for the most part, your body is already creating on its own. Especially when you consider that many of the best HGH supplements are made from all natural ingredients you can imagine they are no more dangerous than taking an amino acid complex, or protein drink. In the bodybuilding world, the only time you will really get into dangerous products with side effects that are harmful is when you start to go down the route of anabolic steroids. Natural HGH supplements do not come anywhere near this category! This depends on the person. In our opinion, the best time to take an HGH supplement is through a deloading period. Considering that using HGH you will start to recover more effectively, sleep better and find more strength - the best time will be during long periods of rest or deloading. This means that you should start to use an HGH supplement when you see a plateau in performance (you haven't been getting stronger) or you feel your body needs more rest in order to grow. Using an HGH supplement at any time can be effective, but it is important to understand that there are sometimes, like during deloading or rest periods, where it would be even more effective. If you are unsure if you are at a period of the plateau it could be time for you to start recording your results. Keep it simple and write down all of your workouts, weights, reps, sets, fatigue markers and use this information to track your success. With all this information in mind, it can be very difficult to understand if HGH is best for you or if there is another product that can help you achieve your goal. For simplicity sake, we will assume you are heading down the road of trying an HGH supplement (which is why you are reading this guide) so here are the most effective and powerful HGH supplements of 2018. Crazy-Bulk is one of the global leaders in steroid alternatives. Using their product will give you one of the most surefire ways to ensure you are growing stronger and making the most of your recovery times. Their product includes many of the most potent ingredients that you want in an HGH supplement and comes in at a very affordable price. The best part - their HGH X2 supplement can easily be stacked with many of their other unique products so check out their Growth Hormone Stack for best results! This product features everything you look for in a complete HGH alternative. 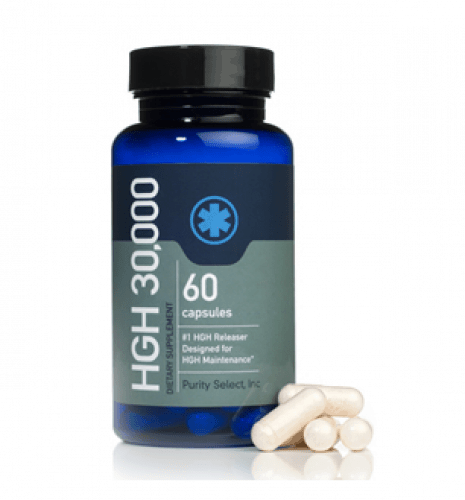 Looking back at our primary targets for a complete HGH supplement they hit the pituitary stimulation, provide more sleep and can even help to assist in a healthy heart. 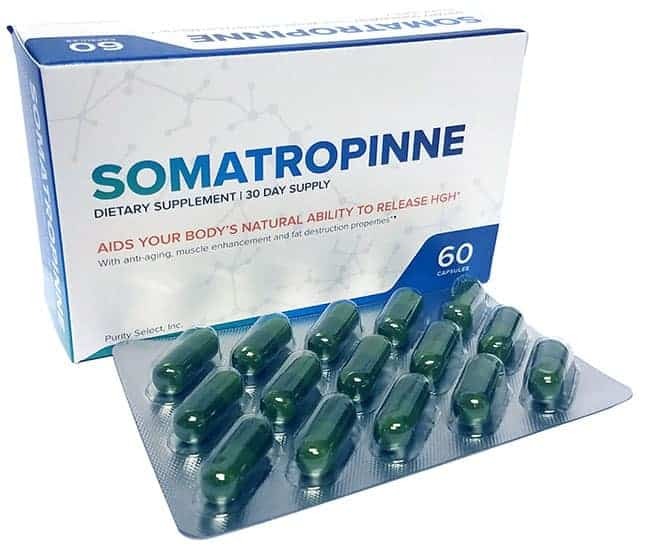 Those who are looking for a complete HGH supplement should look no further than the complete blend found in Somatropinne (just be aware of the higher price tag). Perhaps the most potent HGH supplement we have on our list, HGH 30’000 is a unique product that has been specifically formulated to stimulate your pituitary gland for increased growth, while concentrated amino acids go to work to stimulate more muscle mass. For those that are looking for an HGH supplement that caters strength and power - this is your best bet. The only thing weighing down HyperGH14 is the price tag. Coming in as one of our most expensive HGH supplements HyperGH14’s complete formula cannot be ignored. Just taking a look at some of the ingredients and their potent dosage you can tell why they might have to break your bank a little. HyperGH14 contains a full spectrum of ingredients that will stimulate the pituitary, increase sleep (very good in this category) but does lack a little in the heart-healthy ingredients. Although this product falls a little short on our list, this is not a product that should be overshadowed. Universal nutrition has become one of the kings of the supplement industry for a long time for a reason. They include a complete blend of ingredients that are built to enhance strength, promote deeper sleep and can even help to achieve greater states of fat oxidation. 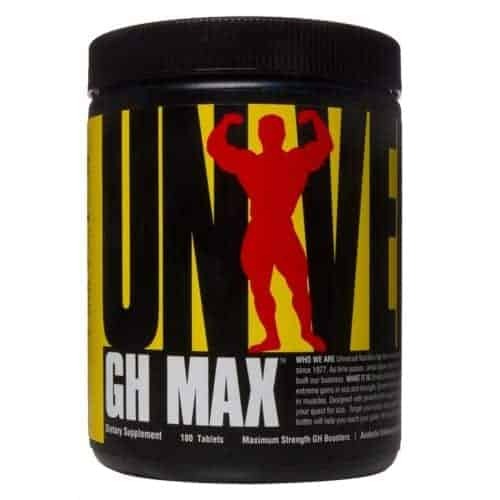 Using GH MAX by universal nutrition could be the best bet if you are looking for an HGH supplement built for training periods and short rest times. Understanding the importance of an HGH supplement in your workout program you can get a sense for why we have only given you a handful of options to choose from. Although most HGH supplements will carry much of the same ingredients the dosage will vary from product to product and some companies favour specific ingredients over a blend of many. The most important thing to keep in mind. If you are training for strength you will want to pick a supplement that contains more amino acids than others - specifically l-arginine and l-glutamine. On the other hand, if you are looking closer towards a cardio goal ensuring that you are getting good sleep and having the best possible blood flow and heart care is more important. Choosing a product based on your goals should always be emphasized. Are you struggling to meet the demands of your activity because you do not engage in as much rest and sleep as you should? Most athletes will shoot for 9-10 hours a night in order to get the recovery they need. If you are struggling to recover and sleep effectively you should consider trying a supplement that favours sleep over other aspects like stimulation of pituitary glands. 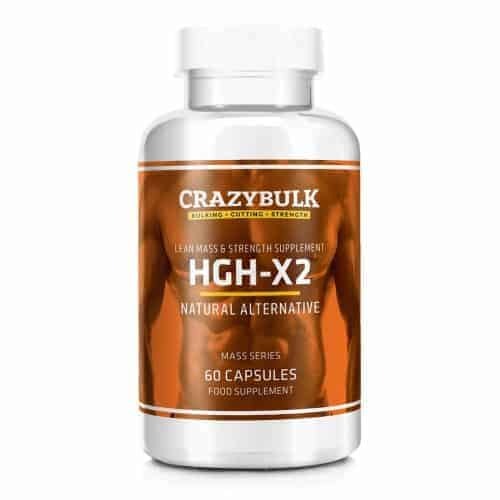 In our opinion, HGH X2 from Crazy-Bulk contains the best array of ingredients that are built across many aspects that make HGH supplements complete. If you are unsure about which goals you have or which product will align with your lifestyle Crazy-Bulk will take the concerns from your mind and help by providing the best possible results through their complete blends - plus you can easily stack with other amazing legal steroid alternatives. Whatever product you choose it is important to remember - nothing will help you outwork a bad diet and a lazy workout program. If you are to become successful in your weight training you need a complete workout program and an even better diet. Yes, an HGH supplement will help to amplify your results - it might even help you to recover faster - but there is no magic pill that will provide results without consistent practice and high degrees of dedication.